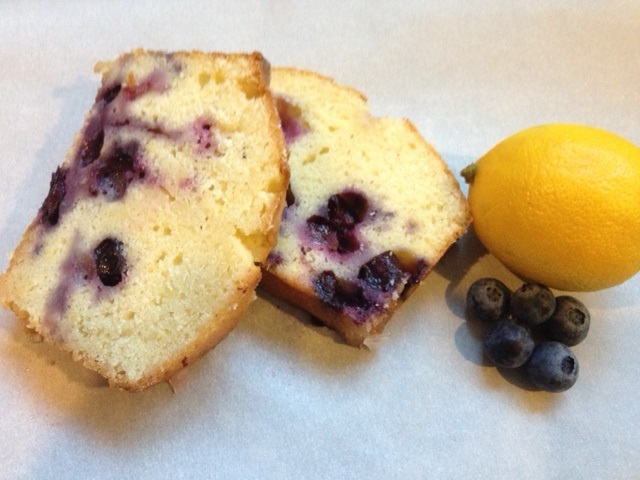 Fast and easy Lemon Blueberry Bread | ...and another cup of coffee. It’s about that time of year: leaving the windows open for the breeze, kids out riding bikes and summer fruit is coming in season…it’s almost summer! Here is a very quick and easy recipe to enjoy fresh blueberries and lemon. This is very easy to make and tastes refreshing! Preheat oven to 350F. This recipe makes 1-8×4 inch loaf pan. In a large mixing bowl, beat together butter, sugar, lemon juice, and eggs. Combine flour, baking powder, and salt; stir into egg mixture, alternating dry mixture and milk. Fold in lemon zest, nuts if you chose to add them, and blueberries. Pour batter into prepared pan. Bake in oven for 65 to 70 minutes or until a toothpick inserted into the center of the loaf comes out clean. Cool bread in pan for 10 minutes. If you would like to add a little extra something to this bread you can make a glaze to pour over the whole thing☺ Combine 2 tbsp lemon juice and about ¼ cup of sugar in a small bowl mix it together. Remove bread from the pan and drizzle with glaze. Cool on a wire rack until the glaze hardens. « Ways to help plan your trip to Disneyland – Part 2-Food!